Barbara Cabral received her Masters and Bachelor Degrees from the University of Akron where she taught Contemporary Needle Arts and other classes. She was also a visiting Professor at Concordia International University, Tallinn, Estonia. Her primary area of research was the use of natural dyes, particularly madder, in Ohio coverlets. Her interest in early textiles and conservation knowledge led her to curate several textile exhibits at The Canton Museum of Art, Hower House, and other Ohio locations.Barbara has lectured on Textile Conservation at The University of Leeds, England, Washington State University, Ellensburg, Washington and other locations in the US including The Ringling Museum of Art in Sarasota Fl. 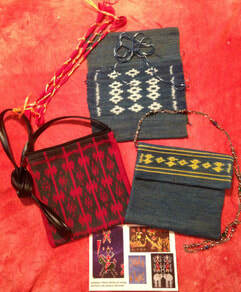 She has also given textile workshops throughout the U.S. and in Tallinn, Estonia, and several locations in Belize. 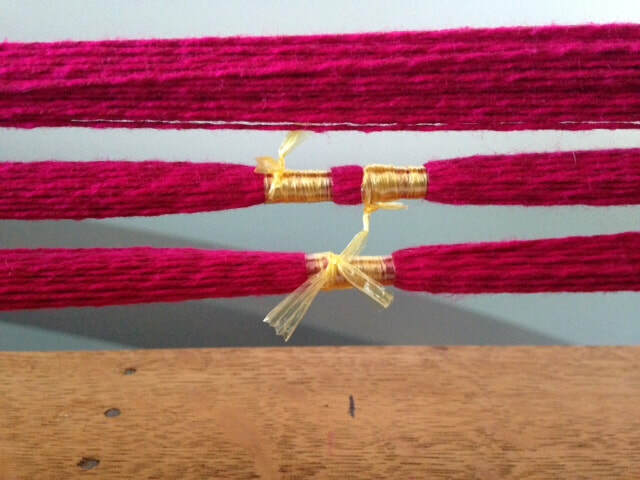 Workshops on her specialty, madder dyes, have been given for weaving guilds and at the Mid-West Weavers National Conference. In 2016 Barbara taught workshops at The Florida Tropical Weavers Guild Convention on The Care and Feeding of Silkworms, Creating Silk Yarns, and Making Cocoon Jewelry. She has also presented lectures in Florida on Estonian knitting, Working with Lotus Fiber, and Brocade Weaving in Thailand. Her work has been exhibited in Ohio galleries since the early 80's at the Canton Museum of Art and more recently at The Elizabeth Stevens Gallery in Sarasota Florida, Bradenton Village of the Arts, Art Center Manatee in Bradenton, FL. , and at The Fabulous Art Boutique, Sarasota Fl. 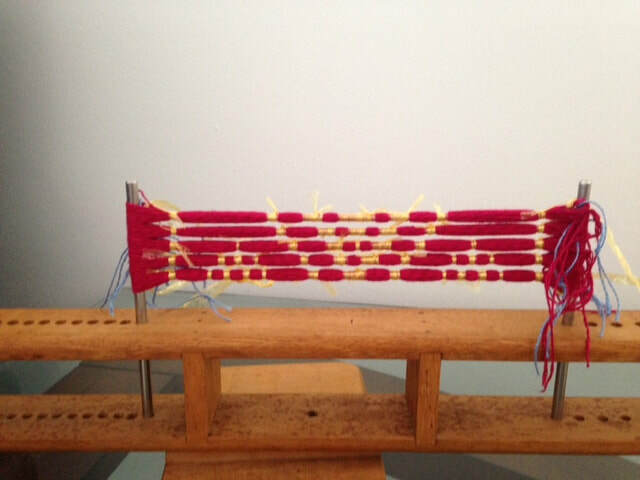 Having woven with silk since the mid 80's Barbara is now expanding her work with silk. She has been raising silkworms since 2013 and in 2016 and 2017 visited Thailand and Cambodia to learn more about the naturally golden silk spun by the silkworms there. Having made many friends and still wanting to learn more she will return for a month in early 2019. While in South East Asia she visited many textile venues meeting with weavers, dyers, silkworm farmers and conservators. Much of this information was shared with visitors at The Ringling Museum of Art where she was invited to speak during the opening of the museums new Asian Wing, and at the Florida Tropical Weavers Guild Conference. 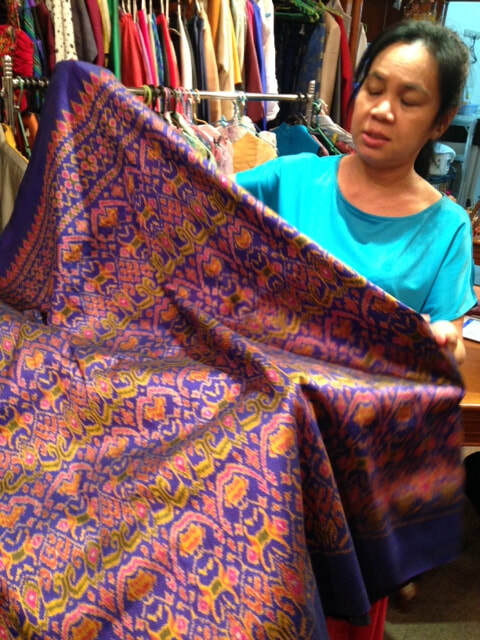 In 2017 she returned to Cambodia to continue to study Khmer Hol (Ikat) weaving with local weavers and further research local techniques and dyes. She is now available to lecture on these topics and give workshops on Hol/Ikat weaving and dyeing. Along with her instruction she shares a variety of textiles in her collection. Her time is now divided between her studio in Palmetto, Florida and her summer home in Port Clinton, Ohio where she creates unique woven, dyed and hand painted textile pieces and grows Bamboo destined for future projects. She is available for classes and lectures on many textile topics.